Continuing the free games for Gold members promotion running for Xbox Live members, their first one this month was Magic: The Gathering 2013 and your second title this month is Rainbow Six Vegas. If you’re a current Xbox Live Gold member, you can queue up the download right now on the marketplace. Note that if you lose your Gold membership anytime after downloading, you’ll be able to keep the game forever. 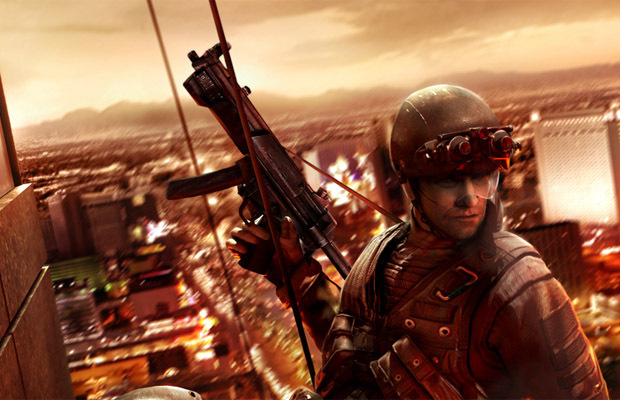 Released all the way back in 2006, it combines the tactical nature of the Tom Clancy series with the backdrop of Las Vegas. A sequel was released in 2008. Currently, Rainbow Six Patriots is in development with no release window announced. Let us know if you’ll be picking up this free download in the comments below or post in our Facebook and Twitter.